The Mini Minkie is an exciting pattern to fish as it often leads to rod bending hits. Thread : Colour to match wing. Strong. Tail : Glo brite floss. Underbody : Lead foil, if required. Body : Pearl lurex over thread. Rib : Copper wire holding wing down. Matuka style. Hackle : Glo Brite floss. Wing : Cross cut strip of mink. 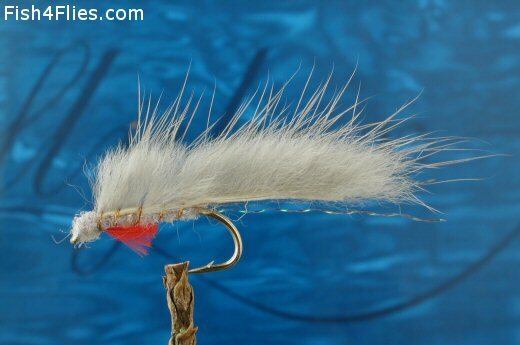 Currently there are no comments about the Mini Minkie fly pattern from other fly fishermen yet.